Storytelling/reading sessions (30 – 60 minutes) are offered to a variety of audience sizes and age groups K – Grade 12, bringing Bev’s passion for writing as well as her heartfelt desire to support literacy in young people. For younger children, combinations of puppets and props make popular folktales come alive, along with explorations of Bev’s published picture books. For older students, readings from published junior, middle-grade and young-adult novels, as well as presentations about Bev’s evolution as a writer, can be tailored to individual schools’ needs. Kindergarten – Grade 1/ Grades 2 – 3: Interactive Storytelling in “Best Loved Tales,” featuring folktales delivered with puppets and props. Short readings will also be included from Bev’s published books Daddy Longlegs at Birch Lane (a narrative non-fiction picture book), The Bug House Family Restaurant (poetry about eating bugs!) and Bev’s newest title The Girl with the Cat (a picture book sharing the true story of a little girl whose advocacy saved a statue for a Canadian Gallery). Grades 3 – 4 and 5 – 6: “A Writer’s Secrets”, featuring storytelling as well as readings from Bev’s published books that may include Spider Summer (available as a free pdf from Bev’s website), Keeper of the Trees, The Moon Children, and The Bug House Family Restaurant, delivered with power point images of Bev’s earliest childhood writing. Focus could be on Bev’s newest title, Sapphire the Great and the Meaning of Life, a novel told in alternating chapters from the perspectives of nine-year-old Jeannie, dealing with a family break-up, and her pet hamster, Sapphire (AKA Sapphire the Great). Grades 6 – 8: “Let’s Talk About Writing” begins with readings from Bev’s published books including Falling for Henry and the Wild Orchid series as well as Bev’s recent title Fox Magic (with school permission as this book contains serious themes). Power point slides are included to focus on writing development. Falling for Henry is a historical time-slip fantasy, set in Tudor Times, involving a relationship between the young Prince Henry and Kate, a New York teen who uses Tudor Times to temporarily escape contemporary challenges including an anxiety disorder. Wild Orchid, Waiting for No One, and The White Bicycle combine as a series about a teen with autism. Taylor Jane has a unique perspective on life and her coming-of-age story takes her through a quest for independence that begins with the requirement of finding a boyfriend, extends into a search for her first job and post-secondary studies, and finally spotlights her relationship with her mother. Wild Orchid is listed on CBC’s “100 Young Adult Books That Make You Proud to Be Canadian”; Waiting for No One received the international Dolly Gray Award; The White Bicycle was shortlisted for a 2015 Governor General’s Award and earned a Printz Honor. Fox Magic deals with guilt, grief and loss as 12 year old Chance Devlin deals with the aftermath of a suicide pact that killed her two best friends. A connection to a mysterious red fox named Janet Johnson helps her come to terms with the past, illuminating the meaning of courage and the power of dreams. For ages 11 and up. An Afterword written by Tim Claypool PhD, R.D. Psych. offers current resources about suicide prevention for adults and youth. All author royalties on this book are donated to Canadian non-profit organizations supporting youth. Grades 9 – 12: “Bev Brenna Canadian author” explores the development of Bev’s body of work including readings from the “Wild Orchid” series about a teen with autism (with options for exploring Bev’s playscript version of the first novel in the series) and diverse short stories from her YA collection Something To Hang On To. Power point slides are included to illuminate various writing processes; participation of young writers optional in a workshop add-on. Bev’s background as a classroom teacher and special education consultant have inspired various portrayals of characters with special needs, as well as explorations of contemporary societal themes, and her writing often explores issues and topics from diverse viewpoints. 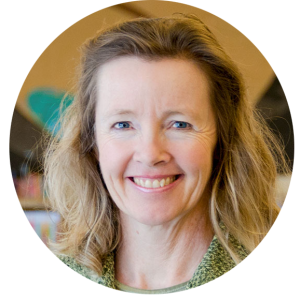 Bev is an energetic writer and storyteller who champions children’s reading, writing, and self-confidence. She truly believes that Stories Can Change the World! After spending many years as an elementary classroom and special education teacher, she is now a Professor in Curriculum Studies at the College of Education, University of Saskatchewan where she focuses on literacy, Canadian children’s literature, supports for students with exceptionalities, and drama in education. Many of Bev’s published children’s books illuminate family stories with contemporary themes, warmth and humor. Bev’s series of young adult novels about a teen with autism, beginning with Wild Orchid, has earned many awards including a Printz Honor book award and a shortlisting for the 2013 Canadian Governor General’s Award as well as an international Dolly Gray Award. Wild Orchid is currently listed on CBC’s 100 Young Adult Books That Make You Proud To Be Canadian and Bev has recently completed an adaptation of the novel for the stage. Bev’s diverse collection of young adult short stories, Something to Hang On To, is often studied in high schools across the country. Much of Bev’s work is for middle-grade audiences, and her new title Sapphire the Great and the Meaning of Life (Pajama Press, February, 2019) is a zany combination of two perspectives, told through the voices of Jeannie, a nine-year old girl, and Sapphire, her existentialist pet hamster. A more serious title, Fox Magic, gently presents an opportunity for discussions about suicide prevention in younger grades. Bev’s textbook Stories for Every Classroom: Canadian Fiction Portraying Characters with Disabilities (Canadian Scholars’ Press, 2015) combines discussions of current titles with detailed annotated bibliographies intended for teachers and librarians. Bev lives in a tall yellow house in Saskatoon and enjoys spending time with husband Dwayne and their three adult sons. Over time they have had a variety of pets including a beautiful golden retriever/collie named Buddy, crazy cats, rabbits, reptiles, and Herbie, a pet tarantula of 18 years.